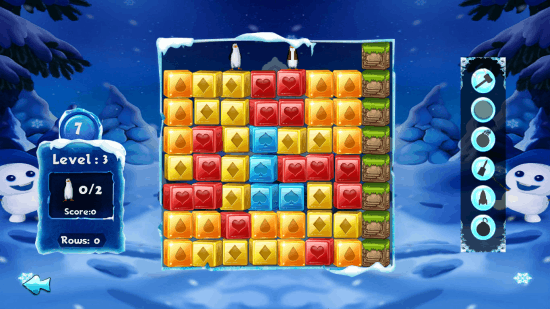 Penguin Rescue is a free puzzle game for Windows 8. This game is ideal for all age groups. Your main motive is to rescue all of the Penguins in the game. Remove the blocks below the Penguins in order to save them. You can only remove the blocks of same color. The game comes with more than 100 exciting levels. You will get a limited number of moves to complete each level. 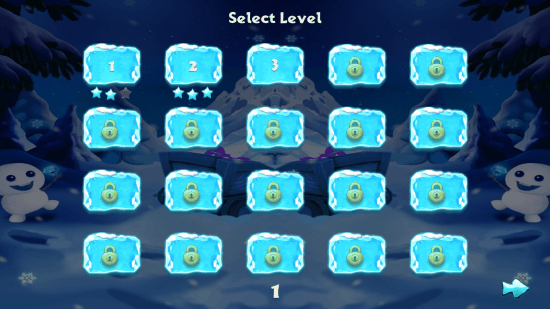 If you will not be able to complete the level in given number of moves, all progress of that level will be lost and you will have to start that level again. So, use your moves wisely. You can quit or restart any level anytime during playing the game. This free Puzzle Game for Windows 8 is a great time killer. Install this game and loose all your stress. This free Puzzle Game for Windows 8 is very easy to install. I have provided a link at the end of the article clicking on which you can easily download the game. As you click the link, you will be redirected to the download page of this game. At the download page, just click on the Install button and Windows will install this game on your system automatically. You can also download this game directly from the Microsoft Store searching the game by its name. This free Puzzle Game is very easy to play. Use only left click of your mouse. Break the identically looking blocks to bring Penguins down. Computer will show your remaining moves and the number of Penguins you have rescued in front of you. Remember, you will have to clear a level in the given number of moves. An interesting feature of this Puzzle Game is that some tools will be given to you. You can use these tools to clear a level. Some of these tools are Hammer (to break a block), Bomb (to break a number of blocks together), Rocket (to clear a whole column of blocks), Paint (to make colors of blocks same), etc. Contains more than 100 levels. Each level has its own difficulty type. 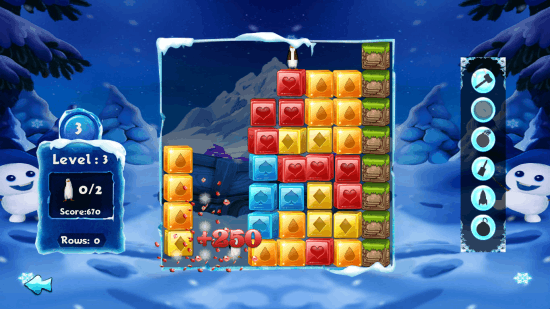 Penguin Rescue is a free Puzzle Game which is ideal for all ages. With great graphics, this game is a great time killer and stress buster. Get it now! 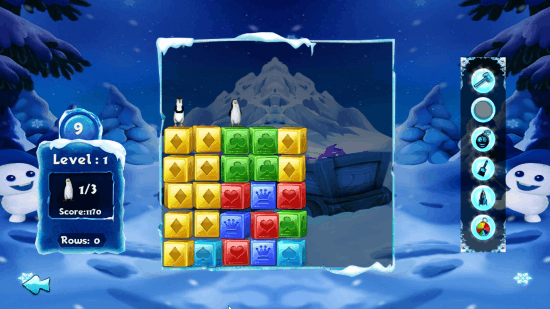 Download Penguin Rescue for Windows 8.